Timesheets. Where do you start? There are so many timesheet apps and calculators available today. Which one is the best and what features should you look for? We’ll walk you through the features you need and how to select the ideal app for your business. Timesheets are necessary for both business owners and employees, but who really likes them? Not employers or employees. Why? They are time consuming, never correct, and frankly, no one likes filling them out or reviewing them. If you’re currently using paper timesheets or maybe a computerized file like Excel or Google Sheets, there is a better method for you. Enter timesheet apps. There are apps these days for everything from exercising to communicating so why not consider adopting a timesheet app to make your life easier and your employees’? Why not use my current method? It’s not perfect, but it works. Maybe you’re still not convinced moving to a timesheet app is worth it for you or your employees. Let’s take a look at some of the obstacles paper and online timesheets have. This will help you see the obstacles you might be currently facing. Too many variables: Someone is always out of the office for something whether it be a vacation, maternity leave or short-term disability. What if you have employees who need to account for overtime or time-and-a-half? If you’re using pen and paper or Excel, it’s hard to keep track of every employee. And for employees, it’s equally as frustrating. Not flexible: What if an employee gets promoted or you have several freelancers who are all charging different fees? It’s hard to account for these differences with a pen and paper method. If you are using an electronic spreadsheet, constantly going in and changing the variables for every employee is time consuming and can lead to errors. Takes up space: If you are using physical paper then this is literally taking up desk space. But chances are you are using some sort of electronic document for all employees. Whether your company built it or you are using an Excel type product, this is computer space wasted. And also, this is yet another program an employee needs to remember to use and know how to use correctly. Timesheet updates: What if you need to change your employees’ timesheets once in awhile. If you are working on paper or Excel this is not an easy task. It’s hard to remind employees of these changes and often these changes are overlooked causing more of a payroll headache. Tracking employees: It’s hard enough for employees to remember to track time. It’s just as hard, if not harder, for you as the employer to make sure you have everyone’s timesheet on time. Plus, if you have to remind some employees to hand in their timesheets each pay period, this is another time waster. Enter timesheet apps. A new way of tracking time. Now that we’ve talked about timesheet methods that fall short, let’s talk about timesheet apps. What exactly is a timesheet app? Basically timesheet apps are automatic time tracking for your company. Instead of relying on employees to fill out a timesheet manually, time is tracked while they work automatically. 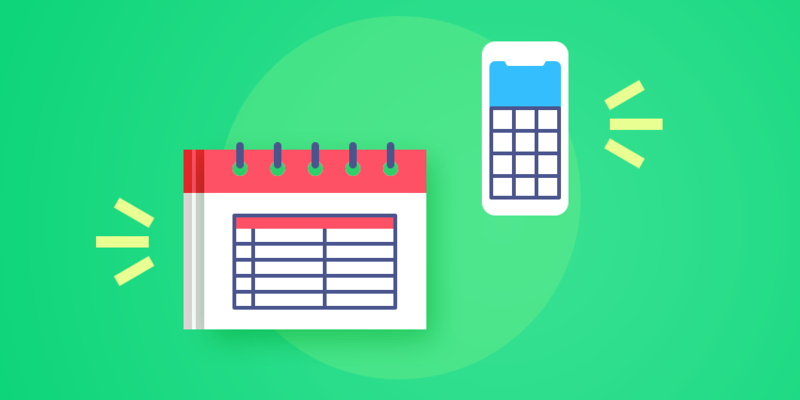 Plus, if you have freelancers or employees who are out of the office for a day or a week work trip, they can still track time from their phone on the go. The advantages of automatic time tracking beat out any other time tracking method. Why? Automation: Employees don’t have to recall when they worked on certain projects, how many hours total they clocked, and whether or not they turned their timesheet in on time because it is done for them. Faster: Since time is tracked automatically, there is no time wasted logging on or off to track time. Saves Time: You as the employer no longer have to chase down employees for their hours worked, constantly roll out new timesheet templates or revise timesheets to fit different employee schedules. It’s win-win for everyone. 14 days free - what are you waiting for? Transparency: Whether intentional or not, it’s hard for employees to recall where their time was spent per pay period. Having timesheets online allows employees to actually see where their hours went.On the flipside, employers can see how many hours were logged per project and by which employees.This eliminates the need to question an employee’s timesheet for accuracy and builds a level of trust company wide. Feedback/Improvement: Timesheets are easy and helpful when automated. Employers can provide constructive feedback for employees and freelancers alike. Pointing out where time can be better spent and even offering training on areas taking too long. Automatic time tracking with timesheet apps is the easiest and most effective way today to track company time. But how do you choose which timesheet app is the best fit for your company? A good start is to compare the key features of each app. Here we’ve listed some of the most common key features and what to consider for each one. Time tracking: This may be an obvious feature, but each timesheet app operates slightly different. Most will record hours worked in real time that can then be compiled into a report. This report is usually a PDF or CSV file, but some apps use a visual timesheet and others more advanced reporting. This is helpful not only for hours worked, but tracking vacation and other employee time off. Project management: You may use a separate project management system, but even if you do, you want to look for a timesheet app that offers some of these features on its own. 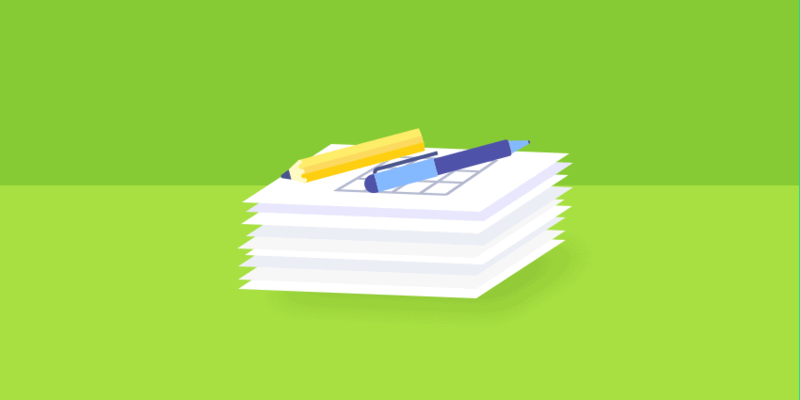 Features like grouping tasks, setting deadlines, and prioritizing tasks within a project. It’s also nice to see if a project is meeting a projected time goal. Invoicing: Whether you own your own company or are a freelancer, you need the ability to bill and get paid easily. Again, you may use an outside system for billing, but your timesheet app should have this basic functionality built in. This is especially important if you bill by the hour or even per project. Your timesheet app tracks the hours worked and then an invoice can be created from these timesheets automatically. It’s also easier for clients to see where the time was spent on any given project and easier to justify extra hours needed. Notifications: You’ll want to look for a timesheet app that offers some soft of alerts. If you are an employer, you will want to know when a project is falling behind, which employees are performing or underperforming, and when a project deadline may need to be extended. On the employee side, if you’re a contractor, it’s helpful to be alerted to pending deadlines to help you prioritize workload. Almost like a built-in assistant. Another employee benefit is notifications for project tasks.This is helpful if team members are waiting on one employee to complete a task in order to move the project forward. Remember to look for a timesheet app that can work across several devices so these notifications can come through on a phone or desktop. Usability/Flexibility: This timesheet app needs to work for you. Make sure you choose one based on the layout and design. It should be easy to navigate and be laid out visually in a way that’s easy to decipher key information quickly, Also, it’s important that is loads quickly and runs seamlessly behind the scene while you work. Along this same theme, a timesheet app needs to be flexible. If you are an employer, you’ll want to set up groups that comprise certain teams or departments. You may want certain employees to have more access to timesheet functions than other employees. This is very important if you employ both full-time employees and freelancers. Reports: Although most timesheet apps will create a simple PDF report, your company may require more advanced reports. Or if you’re a freelancer, these advanced reports could tell you how much time is being allocated to each client. These reports should let you look at data daily, weekly, and also over the course of a particular project. If a client questions an invoice, these reports provide a quick snapshot of your project billing. It can also help cut costs or increase a project budget based on this data collected. Free trial: No one wants to regret a purchase. Most of these timesheet apps cost money especially if you need more than the basic functionality. However, it’s always a good idea to test out these online timesheets before you allocate some of your budget. Look for a timesheet app that offers a free trial. But what if your company structure is more complex and you need more detailed features? If you do, the more intricate timesheet apps offer screenshots, activity views, and versatile computer software compatibility. One of these extra features you may need is integration. We’ll break down different timesheet app integrations and the key benefits to you for these integrations. You can then see what your current needs are, what integrations you need, and choose the one the best timesheet app with integration options to meet your company and employees’ needs. Bitwage: Automate credit card payments to your team members through Bitwage. FreshBooks: Track time directly to FreshBooks tasks by connecting it with a timesheet app. Payoneer: Automate and manually pay through Payoneer to your team members. Paypal: Pay your team members automatically through Paypal for time tracked with a timesheet app. QuickBooks for Windows: Export time tracked via a timesheet app to QuickBooks Desktop for Windows. QuickBooks Online: Track time via a timesheet app and automatically export it to QuickBooks Online. If your company already uses a project management system to help make projects run smoother and more efficient, than you’ll want to look for a timesheet app that integrates easily. Here are a few common ones and how integration can help. Asana: View Asana tasks and descriptions along with due dates and updates. GitHub: Track the time you spend working on GitHub issues with a timesheet app. Jira: Use a timesheet app to track time against Jira issues that you are assigned to. Trello: Link Trello boards with a timesheet app’s projects and track time to your cards. Basecamp Classic: Connect a timesheet app with Basecamp Classic and track time directly to your to-dos. Do you currently use a CRM system? Then another consideration is finding a timesheet app that flows easily with your current CRM system. Here is an example of the benefits of linking the two. Salesforce: Track time spent on your assigned Salesforce tasks after integrating with a timesheet app. Maybe your company uses software to manage customer requests. If so, integrating with a timesheet app can help track how long it takes to handle customer questions and system glitches. Here are a two examples of this type of integration. Freshdesk: Connect Freshdesk and a timesheet app and track time on your tickets. Zendesk: Track time spent on assigned Zendesk tickets with a timesheet app. ShiftPlanning: Automatically export time tracked through a timesheet app to your ShiftPlanning account. Why not give a timesheet app a try? So now that you know a bit more about timesheets apps, what to look for, and why you should explore one, try testing out a few. 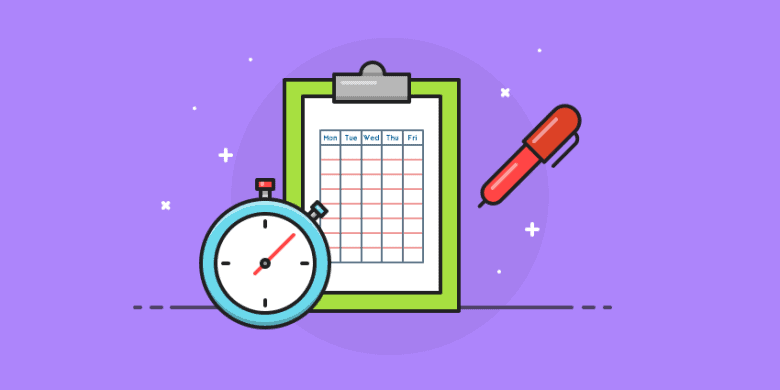 While you are utilizing a few free trials, we’ve put together a group of free timesheet templates to use until you’ve made your timesheet app decision. These templates are in Word, PDF, and Excel. We’re not suggesting this is a revolution in the way people work, but the way we work is always evolving and so should you. What used to be a negative and time consuming experience has now become a value adding activity that every business, remote or not, should consider at their workplace. As the world becomes increasingly global and connected, and technology continues to break down the econo-geographic borders, every business owner is going to need to embrace new ways of working with freelancers, contractors, and remote employees. Using modern timesheet apps is just one important example. We would love to know your thoughts on timesheet apps. What works for you? Do you use a timesheet app and if so, what do you like about it? Please comment below and let us know.